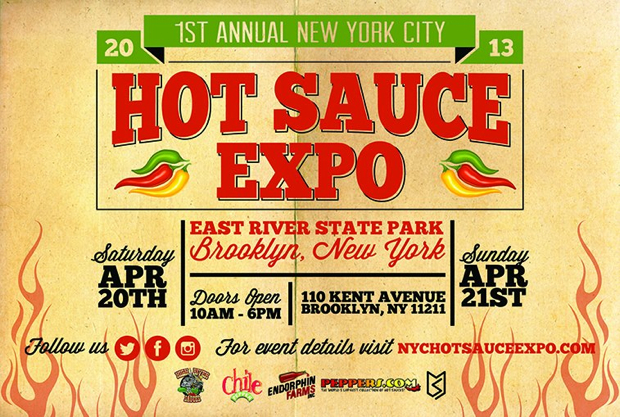 The first annual NYC Hot Sauce Expo will go down April 20 and 21 at East River State Park at 110 Kent Avenue in Brooklyn. Sample a large selection of hot sauce concoctions and enjoy live entertainment with music, eating challenges and even fire-breathers. General admission is $11.34 and includes samplings, demos and access to all the entertainment. Hello there just wondering. What’s the recipe for Louisiana hot sauce wing sauce that’s on the back of the bottle?